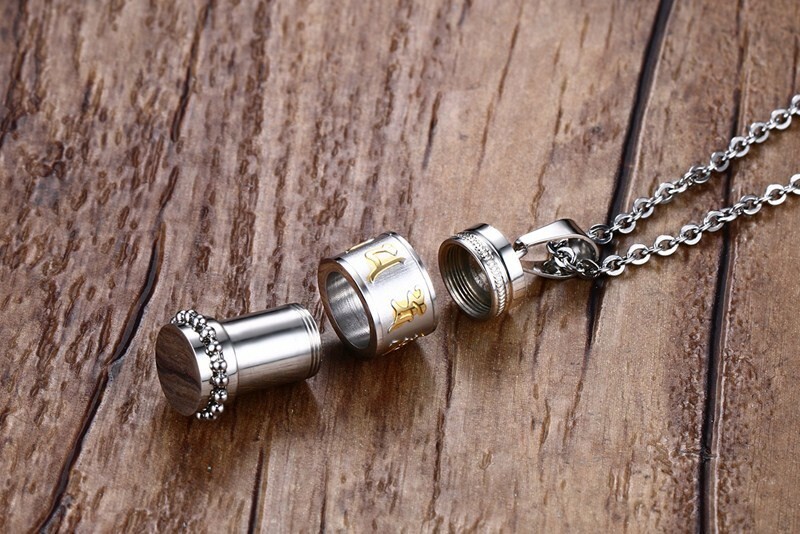 It's a Trendy and Vintage Om Mani Padme Hum Spinner Pendant Party Necklace for Man and Women. 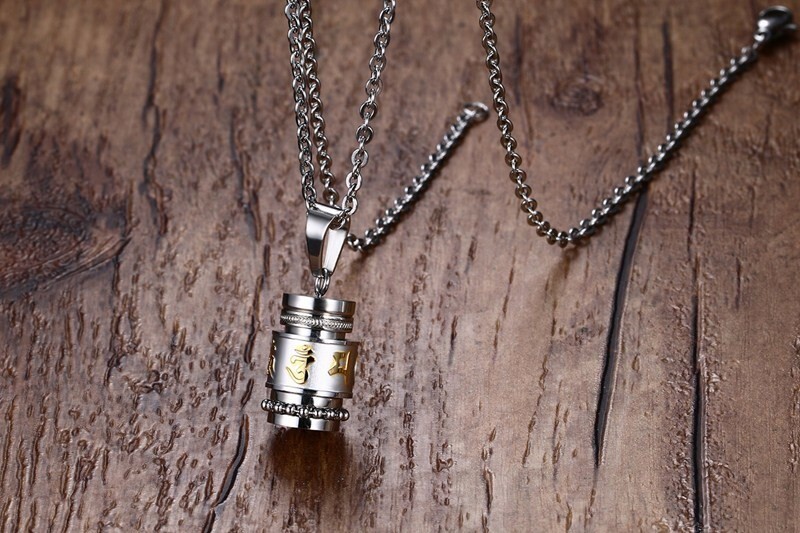 This 60cm Silver Color Twisted Singapore Chain Necklace comes with a silver and Gold Color 12mm Om Mani Padme Hum Spinner Pendant. 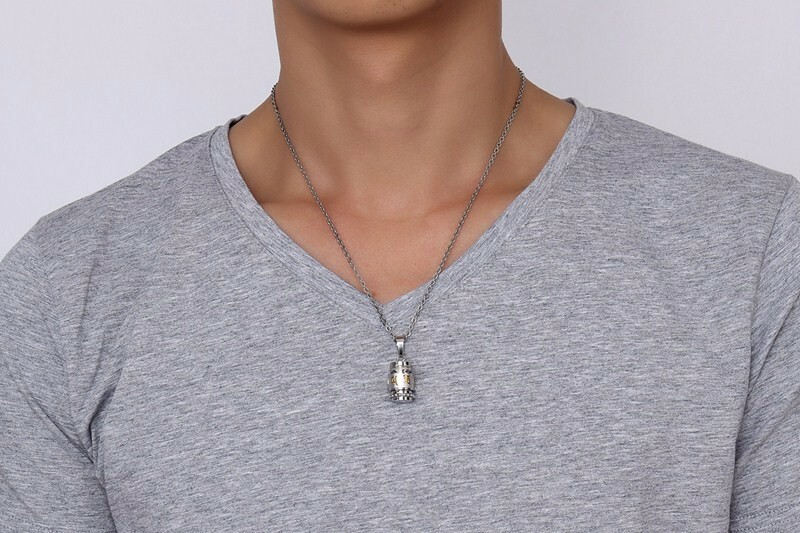 The Stylish Necklace is made of a high-quality Metal Material and Comes with a shiny fine Polish. 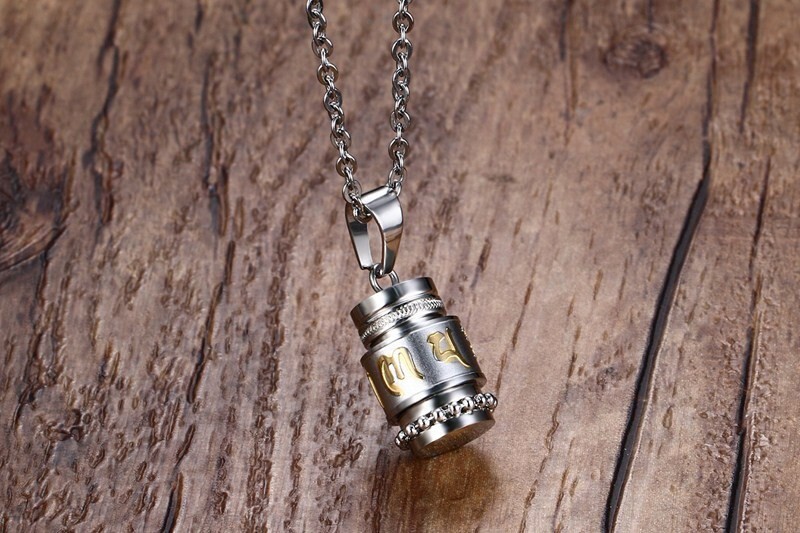 The Light and Trendy Necklace comes in a beautiful Jewelry package. One of the most well known verses in the world is exquisitely crafted with the finest with Twisted Singapore Chain which brings out a vintage look. 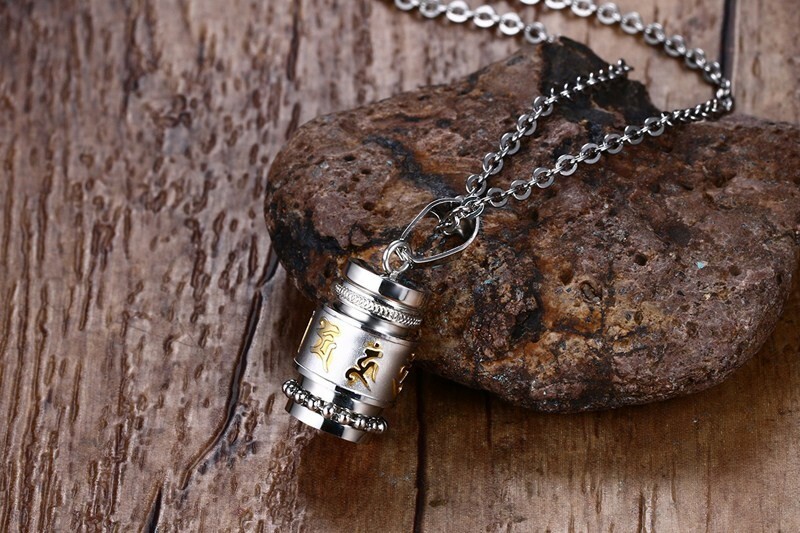 This unique Tibetan Prayer Box pendant has a small compartment that will allow you to store secret or personal memos inside.